Last week Home Secretary Sajid Javid cut his African safari holiday short to personally oversee what he referred to as the ‘major incident’ of migrants crossing the English Channel. Since then, the Royal Navy has deployed ships to patrol the waters, as Mr Javid has questioned whether those attempting the perilous crossing are “genuine” asylum seekers. However, are these claims of a major crisis backed up by the evidence? Government guidelines stipulate that to be eligible for asylum in the UK a person must be unable to live in their own country because of persecution due to race, religion, nationality, political opinion or anything else that puts them at risk due to the cultural, social, religious or political situation in their country. 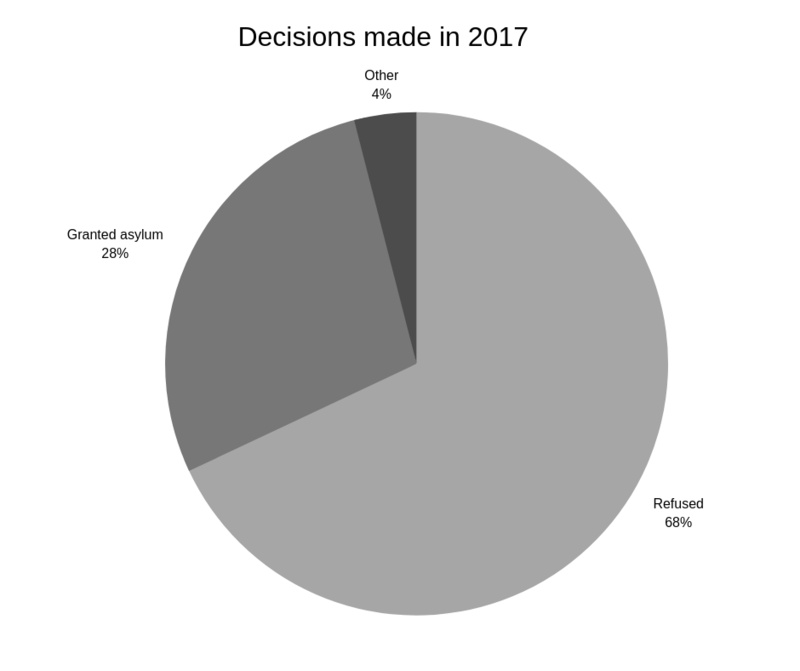 Asylum seekers will usually get a decision on their application within 6 months, during which time they are not allowed to work and must be supported. After a successful application, an asylum seeker and their dependents will be able to stay in the country for 5 years, after which they can apply to settle in the UK. 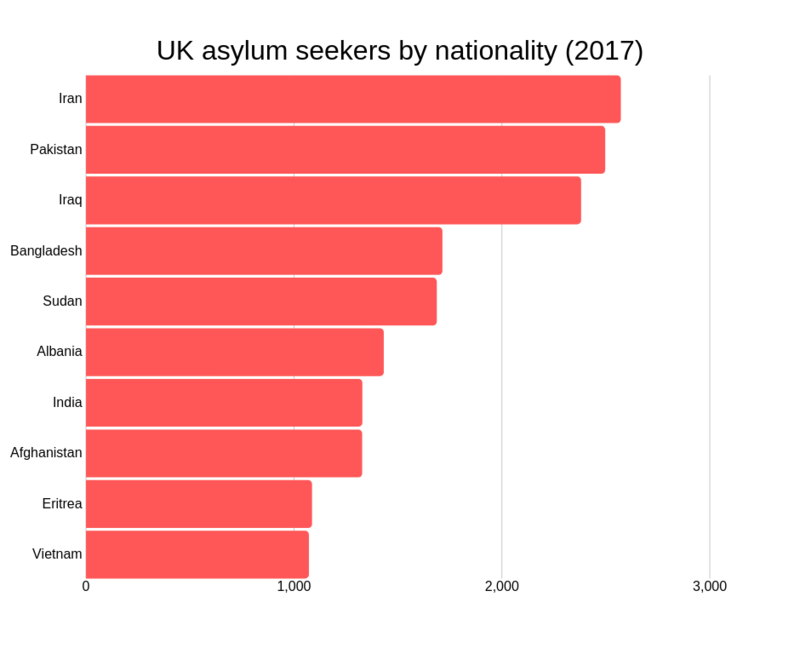 How many people seek asylum in the UK? In the year to September 2018 there were 27,966 asylum applications in the UK, a 4% increase on the previous year’s figures, according to Home Office statistics. In the same period, 15,170 people were offered protection in the forms of asylum, alternative forms of protection, and resettlement. Read more: Immigration: What's in the government's new policy? At the end of November 2018, Refugee Council statistics estimated that there were 40,481 asylum seekers supported in accommodation throughout the UK, with around a quarter housed in the North West of England. According to Home Office statistics, the top country for asylum seekers into the UK in 2017 was Iran, with 2,570 applications. Iran has appeared in list of top ten countries for the past six years, along with Eritrea, Pakistan, Afghanistan, and Bangladesh. 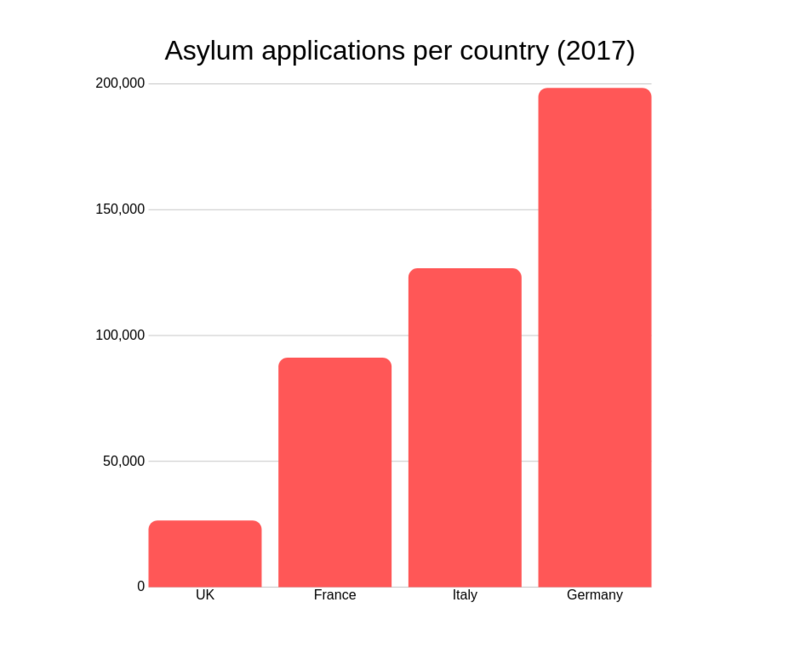 In addition to these countries, Sudan, Iraq, Albania, India and Vietnam also made the list in 2017 with more than 1,000 asylum applicants each. How does this compare to Europe? The UK receives far fewer asylum seeker applications compared to our closest European neighbours, ranking 5th overall in 2017. There were 26,350 applications made to the UK, compared to 198,255 applications to Germany, 126,550 to Italy and 91,070 to France in the same period, according to Refugee Council statistics. In 2017 there were only 0.51 asylum seekers per 1000 population in the UK, compared to a European average of 1.14. By contrast, the corresponding figure for Germany was 2.40, with Greece one of the highest with 4.49 asylum seekers per 1000 population.